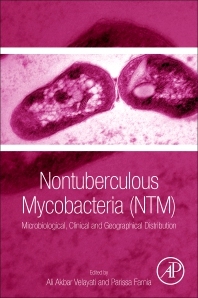 Nontuberculous Mycobacteria (NTM): Microbiological, Clinical and Geographical Distribution is a complete reference that stimulates a greater understanding of NTM infections. Sections cover microbiologic and molecular diagnostic tools, drug susceptibility tests, human genetic susceptibility, prevalence and incidence studies, clinical and radiological presentations, and clinical trials for antibiotic therapy. With the incidence rate of NTM infections increasing globally during the last decade, significant mortality and morbidity must be addressed. This important reference will provide research scientists, clinical microbiologists, hospital diagnostic technicians, and post graduate medical and science students with information on the epidemiology, prevalence, microbiology and clinical aspects of NTM.